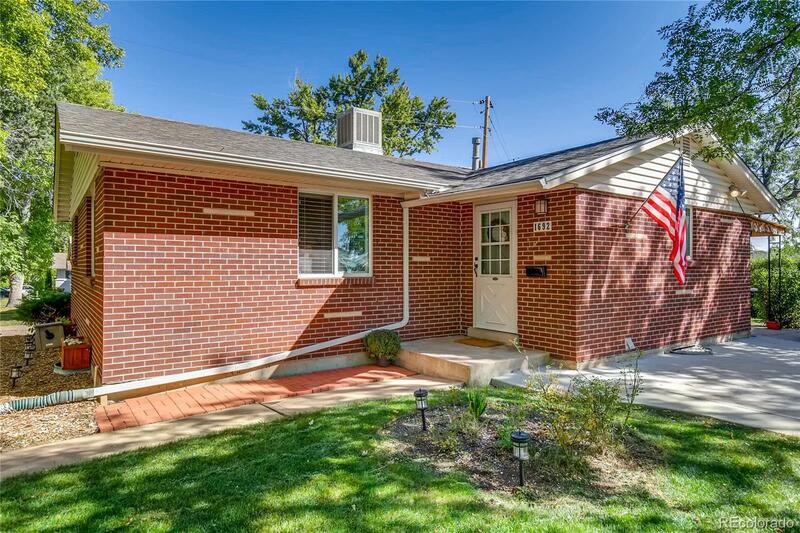 Amazing brick home on huge corner lot located in the Cloverdale West neighborhood! Large family room with 3 bedrooms on main floor and updated bathrooms! Gorgeous hardwood flooring throughout main level! Spacious kitchen with updated paint and flooring and dining space. Large driveway with southern exposure will accommodate 4-6 cars for off street parking. Rear yard is fenced and complete with covered patio and storage shed. Roof, furnace, water heater and radon mitigation system all installed with in the last several years. Partially finished basement with living area, workshop and laundry room! Great location in central Lakewood close to light rail and the shops and restaurants at Belmar!